Everyone loves the traditional tale of The Three Little Pigs, it’s a such an old favourite that little ones never seem to tire of. 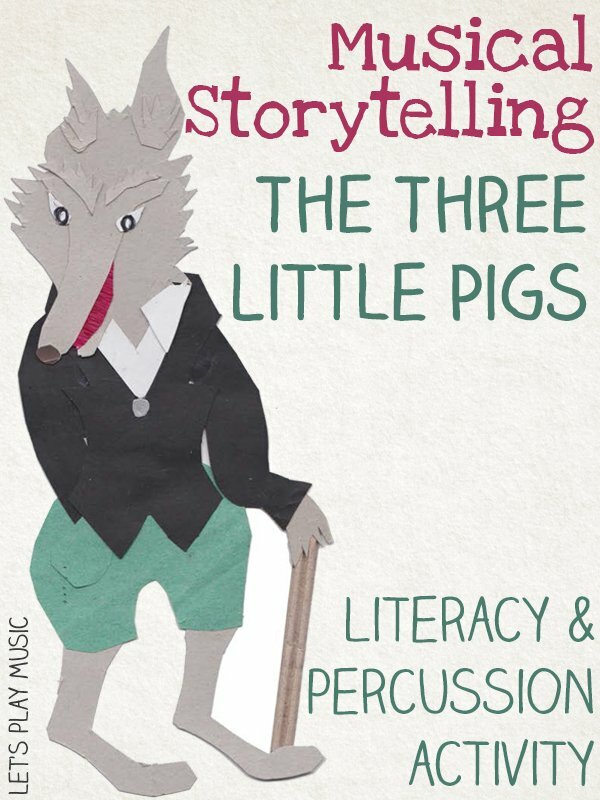 But with some added percussion sound effects and catchy songs and chants to help to tell the tale, this storytelling activity is a wonderful way for kids to explore the sounds and effects of different instruments and their voices. It’s a great way to get them them really involved in the story. To get an idea of the activity, watch the video below. 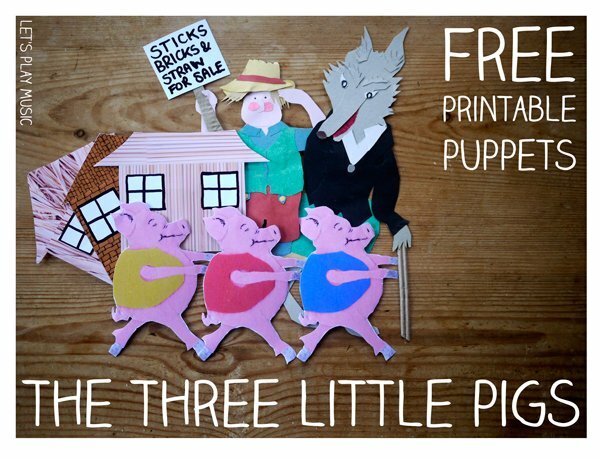 If you’re not familiar with the story, you can print my re-told version here along with free printable puppets. Alternatively you can pick them up fairly easily and cheaply. It’s a great book to add to the collection – this one here has particularly nice illustrations. 1. First spend a little time teaching the song which is super quick to pick up with it’s repetitive words and familiar tune. Do this by singing it to them first, then taking two lines at a time, and encourage the children to join in after they have heard it a couple of times. The tune is borrowed from ‘Little Brown Jug’ and there is a chime bar clip to listen to below if you’re not familiar with it. 2. Introduce the idea of using the 3 different instruments to represent the 3 houses. Maracas for straw, wooden sticks for sticks, and a tambourine or drum for bricks. 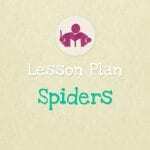 Discuss some other effects like drumming the floor loudly when the houses fall down, and all practise your scary wolf voices and huffing and puffing together to prepare the children to join in at the appropriate places in the story. 3. To start off with, it is easier for everyone to do the effects and instruments together in unison. Later on you can give different children an individual job, when they know what to expect. The teacher narrates the story, and the children are encouraged to join in with the singing and chanting and special effects wherever they can. excelent! tahnks you very much for share!! 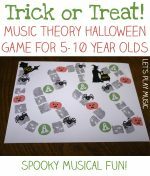 Am going to use tomorrow with Reception class in Music – sure they’ll love it. I did!! I did this with my reception class on Friday and it was wonderful! 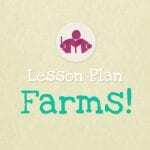 Thank you very much for such a lovely lesson plan. Being 12:36 am here in Argentina, Looking for materials for my 6-year-old students, I bumped into your site! I just couldn’t stop watching the Three Little Pigs video! I laughed and sang along! I clapped when it finished! XD you are amazing at this! Thank you very much! Thanks Samy! As you can see I’m just a big kid too! It’s important not to take yourself too seriously! 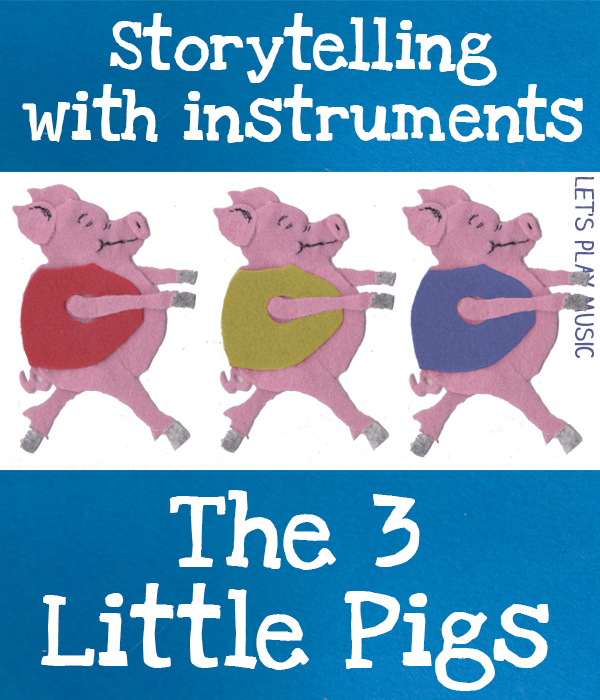 (I really enjoyed making The Three Little Pigs video!) Hope your class enjoys it too! I absolutely love this!! You have a creative gift. Hi Toba Peter. I just wrote this from memory, and always read it to the children, so have never used an audio CD i’m afraid. Did you see the script? You could try reading it? Or maybe look on Amazon? Hope this helps a bit!